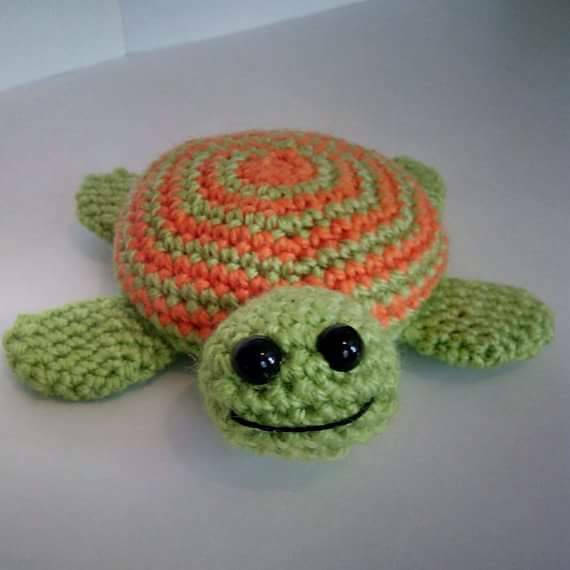 This turtle is ever so cute! 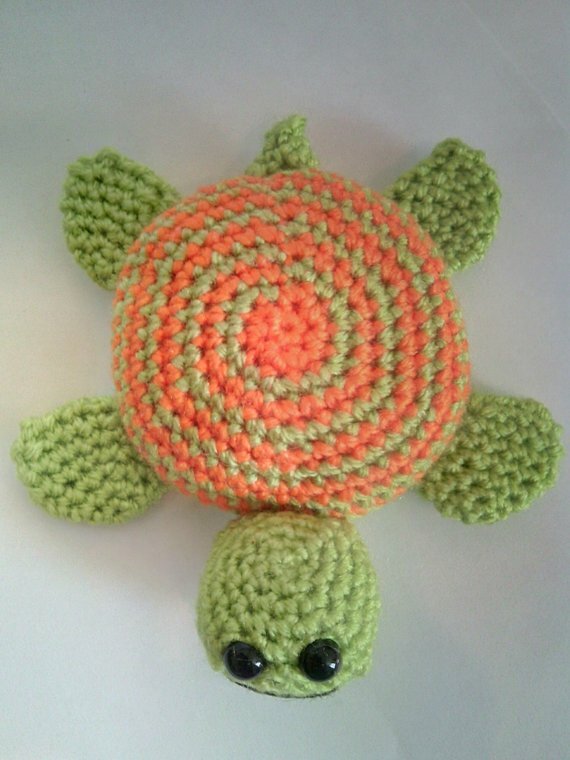 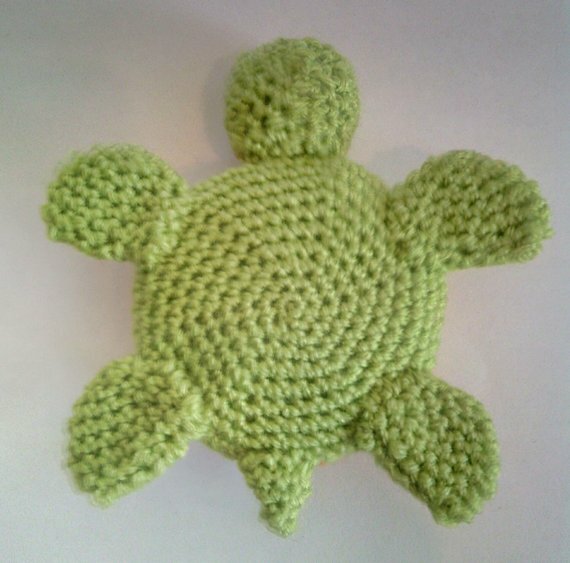 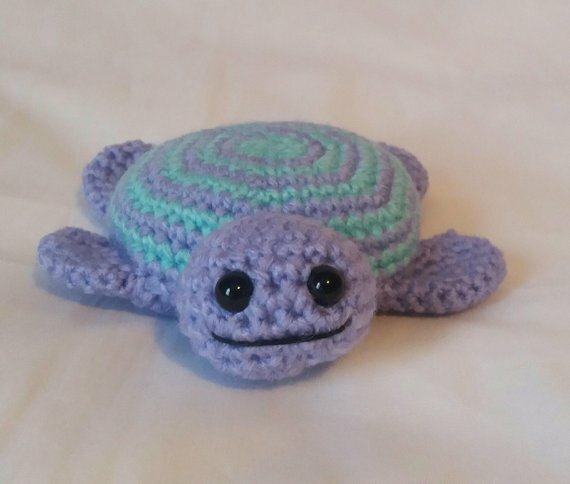 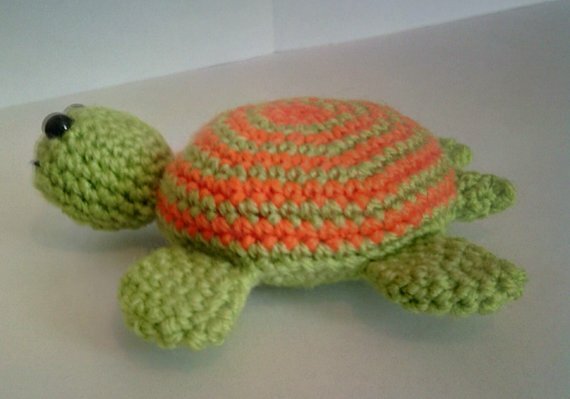 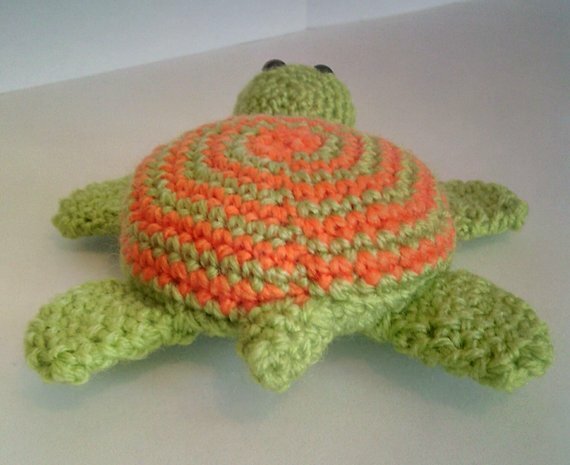 He is a fun little toy that would make a lovely gift for turtle lovers, toy lovers and kiddies (big and small, girl or boy!) 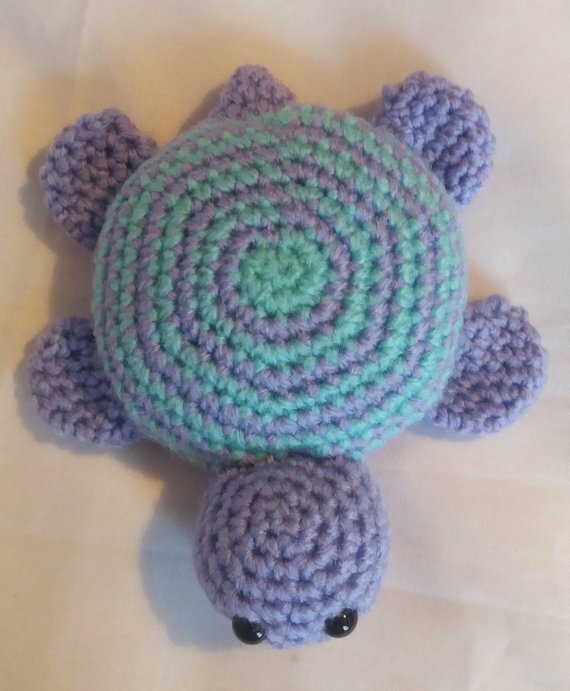 Made in double crochet in an acrylic yarn he has a lovely spiral on his shell, little flippers and tail and a cute little face! 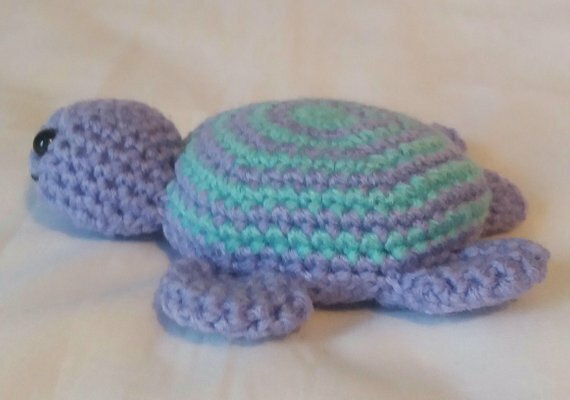 There’s two colours to choose from – green and orange or blue and lilac. 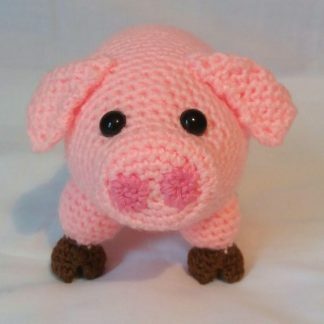 With measurements of approx 13cm long and 12.5 cm wide, he’s the perfect size to fit snugly in your hand – and you won’t want to put him down!